Carlton's Patio's - One of Antelope Valley's Best! We serve Lancaster, Palmdale, Rosamond, Tehachapi, and Mojave. 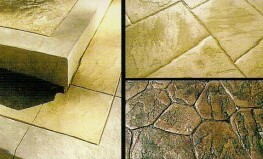 Specializing in Decorative Concrete, Cabanas, Patios, Patio Covers, BBQs, Masonry and all of your other hardscape needs. 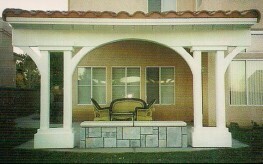 Located in Palmdale California, we provide the best in craftsmanship for all of your patio needs. we can make your outdoor living an experience you won't forget! Call now for your FREE estimate and let our team work for you. Whether you're looking for a Pergola (open lattice) or a covering that provides both shade and protection from the elements, here's where we shine. Click on the link above to view a page of samples of our expertise in this area. We had Jay construct a full patio and it was done in no time flat. Thanks Jay. We just love our new barbeque. And it matches our backyard decor perfectly. Serving Lancaster, Palmdale, Rosamond, Mojave, Tehachapi, & California City for all of your Patio Cover and Patio Foundation needs.